From the author of the international bestseller The Orchid House, comes a mesmerizing story about two Irish families and the tangled ties that have bound them since World War I. The small figure was standing perilously close to the edge of the cliff. Her luxuriant, long red hair had been caught by the strong breeze and was flying out behind her. A thin white cotton dress reached to her ankles and exposed her small, bare feet. Her arms were held taut, palms facing out toward the foaming mass of gray sea beneath her, her pale face looking upward, as if she were offering herself as a sacrifice to the elements. Grania Ryan stood watching her, hypnotized by the wraithlike vision. Her senses were too jumbled to tell her whether what she was seeing before her was real or imagined. She closed her eyes for a split second, then reopened them, and saw that the figure was still there. With the appropriate messages sent to her brain, she took a couple of tentative steps forward. As she drew nearer, Grania realized the figure was no more than a child; that the white cotton she was wearing was a nightdress. Grania could see the black storm clouds hovering out over the sea and the first saltwater droplets of impending rain stung her cheeks. The frailty of the small human against the wildness of her surroundings made her steps toward the child more urgent in pace. The wind was whipping around her ears now and had started to voice its rage. Grania stopped ten yards from the girl, who was still unmoving. She saw the tiny blue toes holding her stoically to the rock, as the rising wind whipped and swayed her thin body like a willow sapling. She moved closer to the girl, stopping just behind her, uncertain of what to do next. Grania’s instinct was to run forward and grab her, but if the girl was startled and turned around, one missed footfall could result in unthinkable tragedy, taking the child to certain death on the foam-covered rocks a hundred feet below. Grania stood, panic gripping her as she desperately tried to think of the best way to remove her from danger. But before she could reach a decision, the girl slowly turned around and stared at her with unseeing eyes. Still the girl stared at her, not moving from her spot on the edge of the cliff. “I can take you home if you tell me where you live. You’ll catch your death out here. Please, let me help you,” Grania begged. She took another step toward the child, and then, as if the girl had woken up from a dream, a look of fear crossed her face. 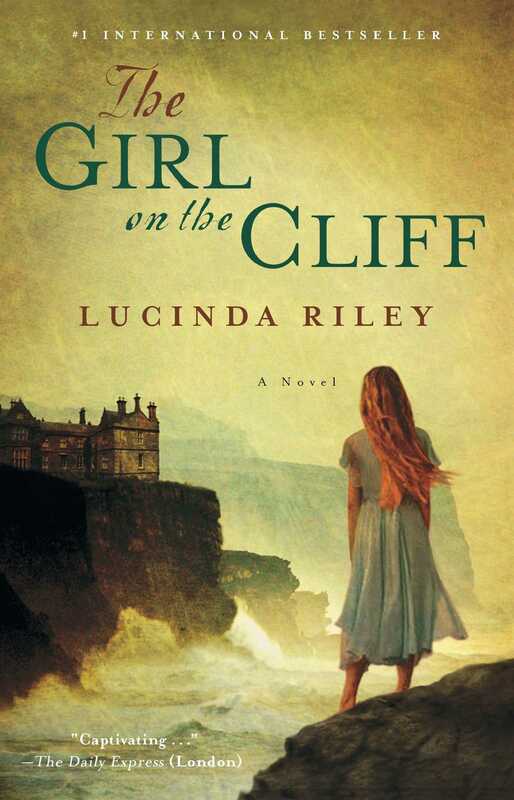 Instantly, she turned to her right and began to run away from Grania along the cliff’s edge, disappearing from view. “That would be grand, Mam. Why don’t you sit down and take the weight off your feet for a few minutes, and I’ll pour it for both of us?” Grania steered her mother to a kitchen chair, pulled it back from the table and sat her gently onto it. As Grania poured the strong liquid into two cups, she raised a silent eyebrow at her mother’s domestic dedication to her husband and her son. Not that anything had changed in the past ten years since she’d been away—Kathleen had always pandered to her men, putting their needs and desires first. But the contrast of her mother’s life to her own, where emancipation and equality of the sexes was standard, made Grania feel uncomfortable. And yet . . . for all her own freedom from what many modern women would consider outdated male tyranny, who was currently the most content out of mother and daughter? Grania sighed sadly as she added milk to her mother’s tea. She knew the answer to that. “There you go, Mam. Would you like a biscuit?” Grania put the tin in front of Kathleen and opened it. As usual, it was full to the brim with custard creams, bourbons and shortbread rounds. Another relic of childhood, and one that would be looked on with the same horror as a small nuclear device by her figure-conscious New York contemporaries. Grania nibbled dutifully at a biscuit, thinking how, ever since she’d arrived home ten days ago, she’d felt stuffed to bursting with her mother’s copious home cooking. Yet Grania would say that she had the healthiest appetite out of most of the women she knew in New York. And she actually used her oven as it was designed for, not as a convenient place to store plates. “Who’s ‘back,’ Mam?” asked Grania, concerned by how shaken her mother seemed to be. Grania watched her mother as she walked over to the AGA, her face set hard as she lifted the heavy iron pot containing the evening meal out of one of the ovens. “Surely if that child I saw has a mother, she would want to know about the danger her daughter was in today?” she probed. “She has no mother.” Kathleen’s wooden spoon stirred the stew rhythmically. Grania frowned. Her mother’s attitude was totally contrary to the way she would normally respond. Kathleen’s big, maternal heart beat hard and loud for any poor thing in trouble. She was the first round to a member of the family, or friends, if there was a problem and support was needed. Especially when it came to children. Grania could see her mother’s face had softened slightly. “Poor little thing,” she breathed. “I wonder why they’re back?” Grania murmured, almost to herself. Grania went upstairs to her bedroom at just past ten o’clock, as she’d done every night since she’d arrived home. Downstairs, her mother was busy in the kitchen laying out the table for breakfast, her father was dozing in the chair in front of the TV and her brother, Shane, was at the village pub. Between the two men, they ran the 500-acre farm, the land mostly given over to dairy herd and sheep. At twenty-nine, the “boy,” as Shane was still affectionately called, seemed to have no intention of moving into his own home. Women came and went, but rarely across the threshold of his parents’ farmhouse. Kathleen raised her eyebrows over her son’s still-unmarried status, but Grania knew her mother would be lost without him. She climbed between the sheets, listening to the rain battering the windowpanes, and hoped poor Aurora Lisle was tucked up inside, safe and warm. She turned the pages of a book, but found herself yawning and unable to concentrate. Perhaps it was the fresh air here that was making her sleepy; in New York she was rarely in bed before midnight. In contrast, Grania could scarcely remember a night as a child when her mother had not been at home in the evenings. And if she had to go away overnight on a mission of mercy to care for a sick relative, the preparation to make sure the family did not go hungry or the clothes unwashed was a military operation. As for her father, Grania doubted he had ever spent a night away from his bed in the past thirty-four years of his marriage. He was up at five thirty every morning of his life and off to the milking shed, coming home from the farm whenever dusk fell. Husband and wife knew exactly where the other was at all times. Their lives were as one; joint and inseparable. And the glue that bound them together was their children. When she and Matt had moved in together eight years ago, they’d taken it for granted that one day there would be babies. Like any modern couple, until that suitable moment presented itself, they had taken their lives and careers by the throat and lived fast and hard while they could. And then, one morning, Grania had woken up and, as she did every morning, had thrown on her track pants and hoodie and jogged along the Hudson to Battery Park, stopping at the Winter Garden Atrium to enjoy a latte and bagel. And it was there that it had happened; she’d been sipping her coffee and had glanced down into the pram parked by the next table. Inside was a tiny newborn baby, fast asleep. Grania was beset by a sudden, overwhelming urge to pick the baby up out of its pram, to cradle its soft, downy head protectively against her breast. When the mother had smiled nervously at her, then stood up and pushed the pram away from her unwanted attention, Grania had jogged back home, feeling breathless at the emotion that had been stirred in her. Expecting it to pass, she’d spent the day in her studio, immersing herself in molding the malleable brown clay into her latest commission, but the feeling hadn’t alleviated. At six, she’d left her studio, showered and changed into something suitable for the opening of an art gallery she was attending that evening. She’d poured herself a glass of wine and walked to the window that looked across to the twinkling lights of New Jersey on the other side of the Hudson River. Grania had taken a hefty gulp of wine. And giggled at the absurdity of the words she’d just spoken. So she’d said them again, just to make sure. And they’d still felt right. Not only right, but completely natural, as if the thought and the need had been with her all her life and all the reasons “not to” had simply evaporated and now seemed ridiculous. Grania had gone out to the gallery opening, made small talk with the usual mix of artists, collectors and envelope-openers that made up such events. Yet, in her mind, she was running through the practicalities of the life-changing decision she had made earlier. Would they have to move? No, probably not in the short term—their TriBeCa loft was spacious and Matt’s study/spare bedroom could easily be turned into a nursery. He rarely used it anyway, preferring to take his laptop into the sitting room and work there. They were up on the fourth floor, but the freight elevator was quite big enough to take a pram. Battery Park, with its well-equipped playground and fresh river air, was easily walkable. Grania worked from home in her studio, so even if a nanny had to be employed, she’d only be a few seconds away from the baby if she was needed. Grania had climbed into the big, empty bed later and sighed with irritation that she’d have to keep her plans and her excitement to herself for a while longer. Matt had been away for the past week, and wasn’t due home for another couple of days. It was not the kind of thing one could just announce over the phone. She’d finally fallen asleep in the early hours, imagining Matt’s proud gaze as she handed him his newborn child. When he’d arrived home, Matt had been just as excited about the idea as she was. They’d made an immediate and very pleasurable start on putting their plan into action, both of them loving the fact they had their own secret joint project, which would bond and cement them, just as it had her own parents. It was the missing piece that would unite them once and for all into a homogenized, codependent unit. In essence, a family. Grania lay in her narrow childhood bed, listening to the wind howling angrily around the solid stone walls of the farmhouse. She reached for a tissue and blew her nose, hard. That had been a year ago. And the terrible truth was, their “joint project” had not united them. It had destroyed them.